In their annual report to be submitted to the leaders, released on November 6, they will call on leaders to show leadership on further liberalisation of trade in goods and services as well as investment flows. 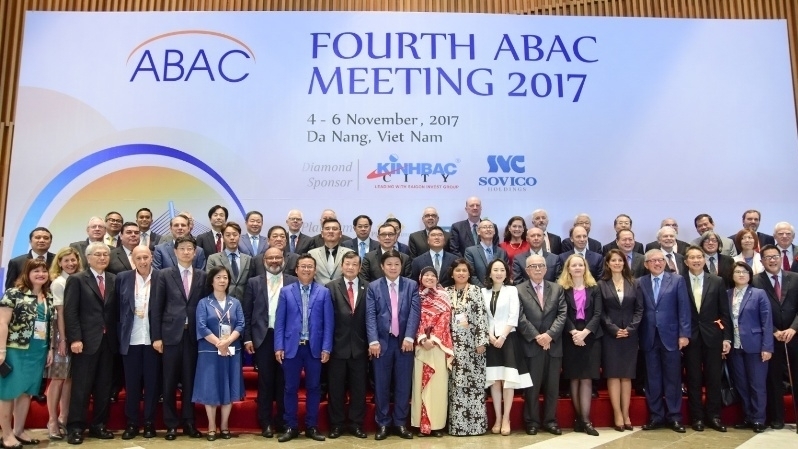 These issues will be discussed by ABAC members in their annual dialogue with APEC leaders on November 10. “This means tackling structural reforms and non-tariff barriers, encouraging cross-border investment and maintaining the commitment to make the Free Trade Area of the Asia-Pacific a reality,” said Dung. The report also highlights the imperative to help women participate more broadly in APEC economies, and to help micro, small and medium enterprises to participate in trade. Dung also affirmed the strong commitment of the business community to partner with governments to ensure a prosperous Asia-Pacific region. Answering a VNA reporter’s question on the ABAC’s proposal to support MSMEs, David Toua from Papua New Guinea, ABAC Chair 2018, said the council will recommend that the government help MSMEs to access financial sources more easily. Meanwhile, Anthony Nightingale from the ABAC’s Connectivity Working Group, said digital economy and digitalization is one of the highlights of the ABAC’s report. The council has developed programmes to help MSMEs and empower them for further participation in the international economy, he said. Regarding the role of women, he said they are an important part of APEC member economies. The council has established organisations and groups, focusing on issues that women are facing, such as gender. This is one of the issues ABAC places concern in the APEC 2020 roadmap, he said.